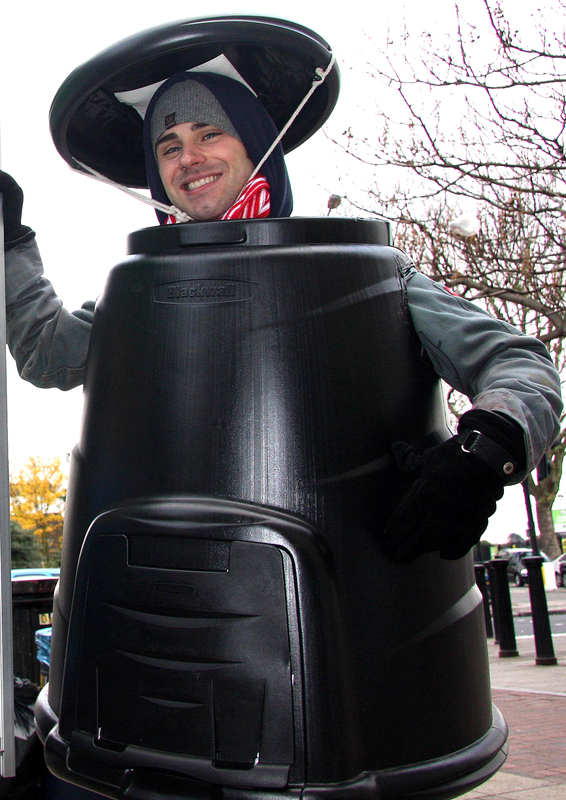 On Monday 14th November Lewisham Council was recognised by The Green Organisation as this year’s most innovative London Borough for their recycling superhero WEEE Man. 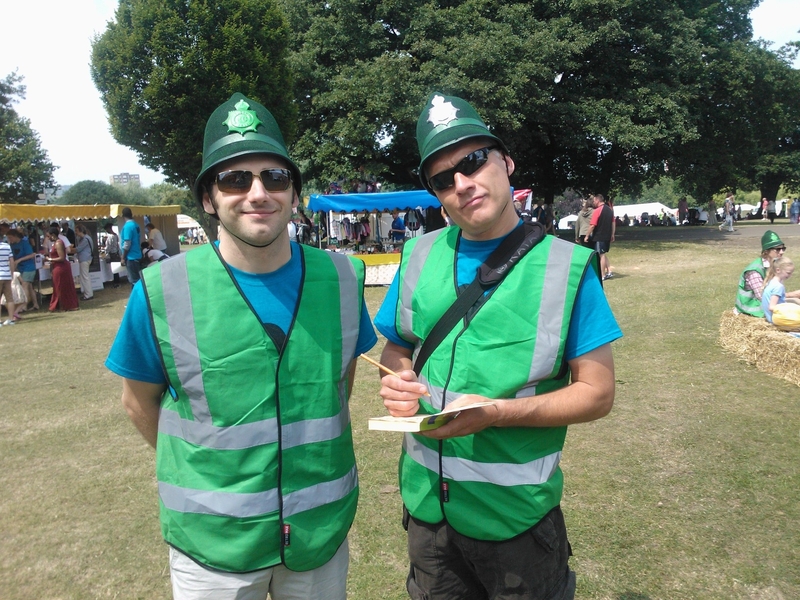 The Green Organisation is an independent, non-political, non-activist, non-profit environment group dedicated to recognising, rewarding and promoting environmental best practice around the world. 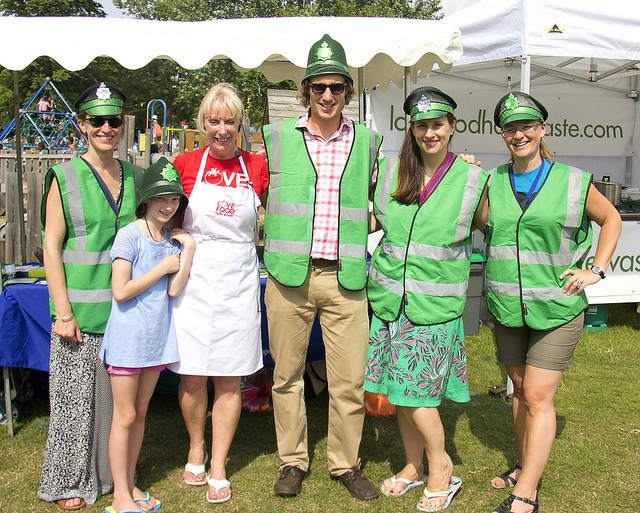 They awarded us GOLD at this year’s Green Apple Awards at the award ceremony that was held at the House of Commons in the River Terrace Pavillion Function Room. 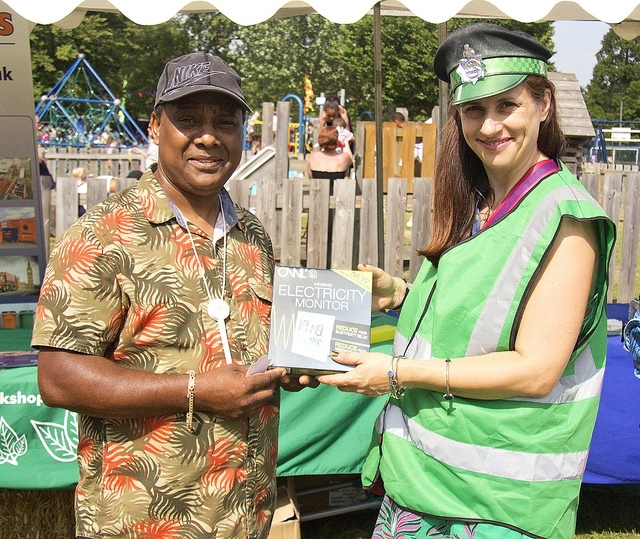 Councillor Susan Wise and Lewisham Council officer Dave Brinson (who incidentally bears an uncanny resemblance to WEEE Man) picked up the award on behalf of the Council. They were presented with the award by celebrity dog lovers the K-9 Angels. 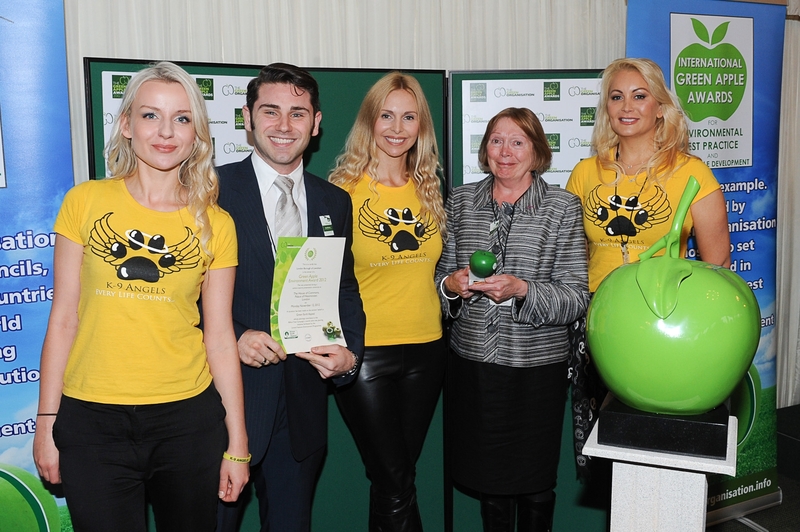 The K9 Angel’s with Dave Brinson and Cllr Susan Wise at the House of Commons. 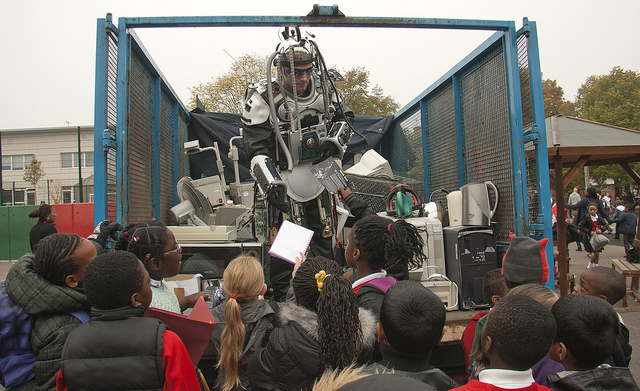 WEEE Man has come back from the future in order to educate Lewisham’s residents and school children about how to dispose of their old electrical items responsibly. He takes his name from the European Waste Electronic and Electrical Equipment Directive. And for any of you who aren’t familiar with WEEE Man or if you just fancy watching the UK’s favourite superhero (in our opinion anyway) in action again just press play on the video below. 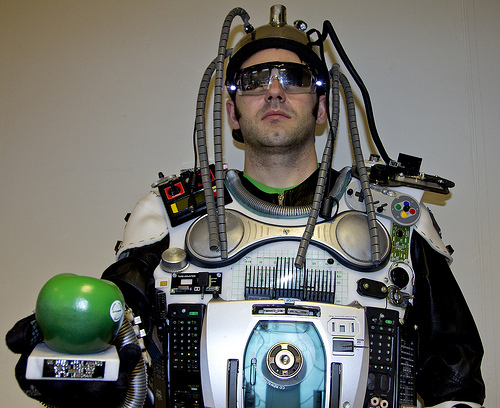 Dave gives the Green Apple award to WEEE Man for photograph session. So what’s next for WEEE Man? Well, we are already looking towards next year and working with schools again to raise the profile of electrical and electronic waste. 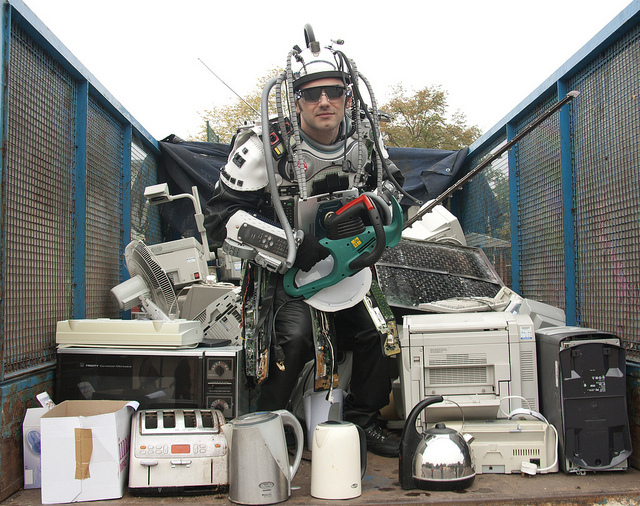 We are looking for schools who are willing to take part in collecting electronic waste and hopefully allow a visit by our recycling superhero WEEE Man. Categories: WEEE | Tags: Award for WEEE Man, Councillor Susan Wise, Dave Brinson, electronic waste, Environmental award for Lewisham's WEEE Man, Green Apple Award, Green Apple Award for WEEE Man, K9 Angel's, K9 Angels v WEEE Man, Waste Electrical and Electronic Equipment, WEEE man, WEEE Man gets Green Apple, WEEE Man goes to Parliament, WEEE Man goes to Westminster, WEEE Man receives an award | Permalink.